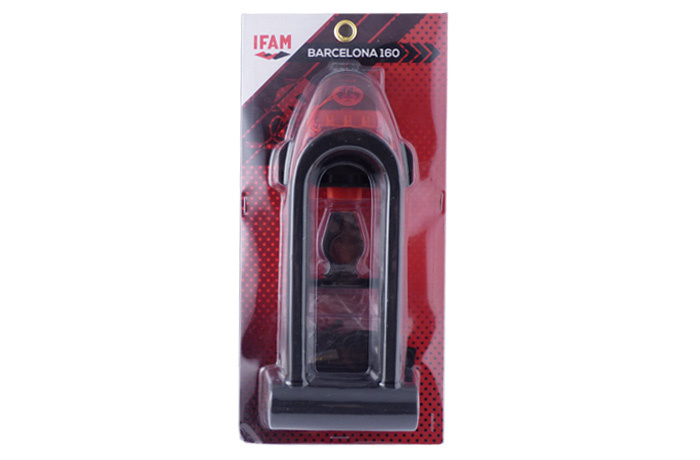 With the Barcelona 160 U shackle lock from IFAM, not only can you keep your bike well protected, you can also let people know where you are when you’re riding in low-light conditions. 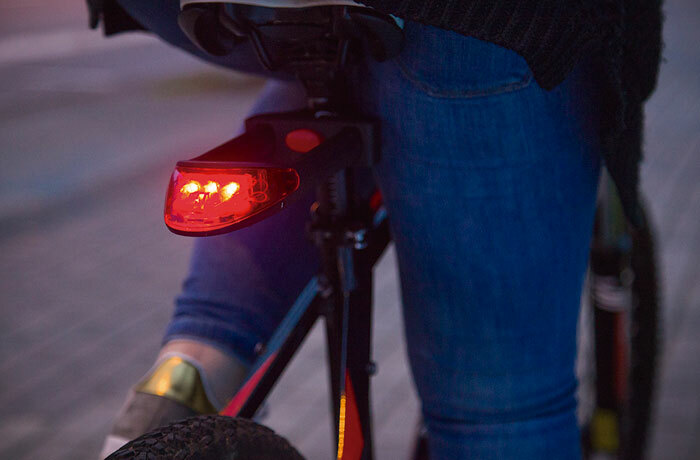 The base of this bike lock has a head light that’s placed on your bicycle’s handlebars. The shackle, on the other hand, is separated from the base and is placed behind the seat. 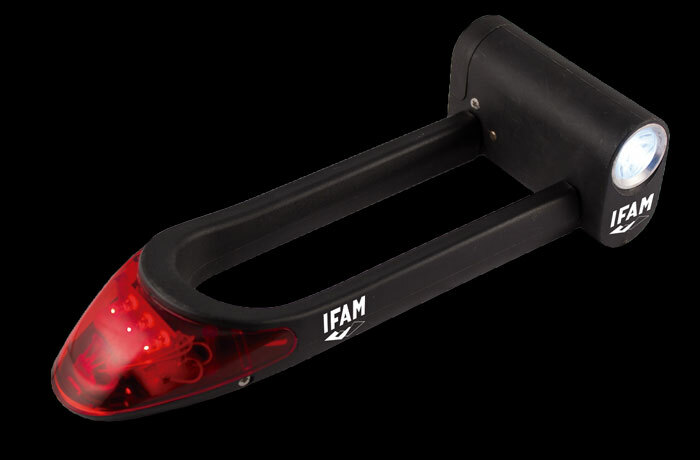 Its rear red lights with three lighting modes make it perfectly visible for anyone behind you when you’re riding..
U-shackle: – Made of hardened steel with anti-corrosion treatment. 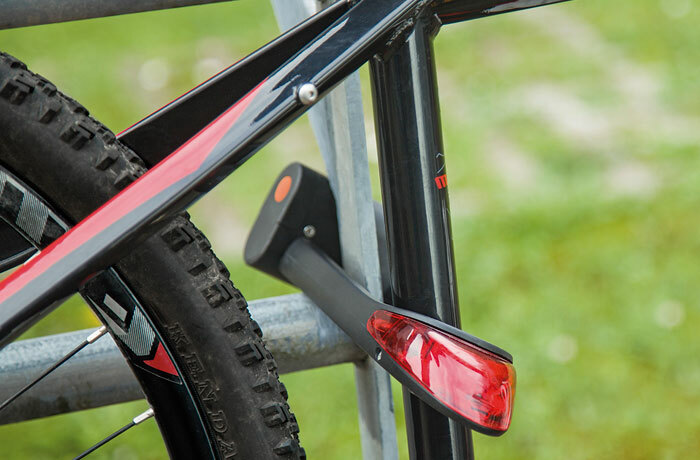 – PVC casing to protect the lock and the bicycle from scratches. 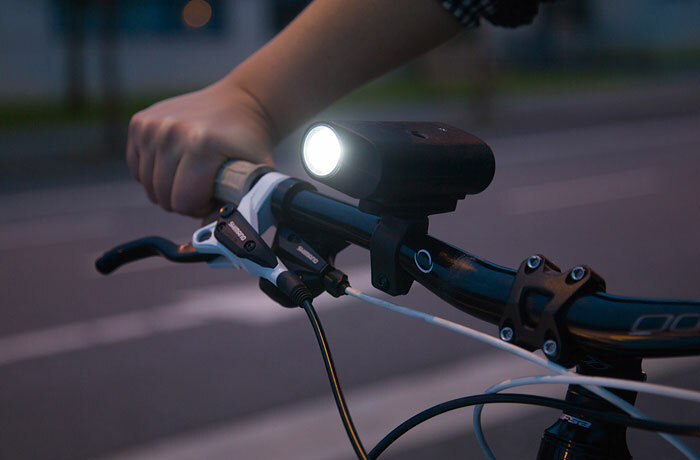 Lights: – Front light with powerful LED light source. 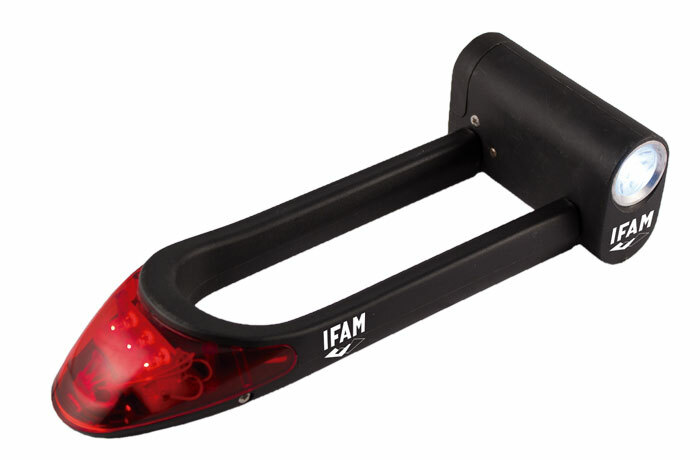 – Rear light with three powerful LED light sources and three modes. .
Opening/closing: – Laser key lock. 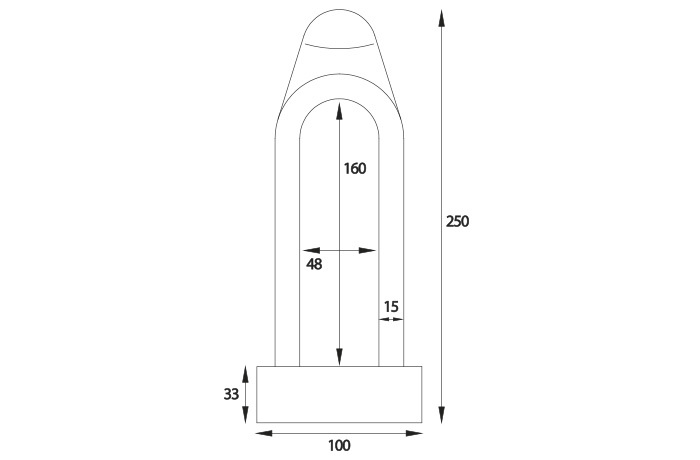 – Supplied with 2 keys.